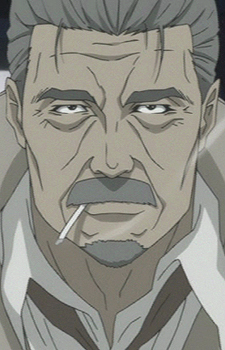 Detective Mikuriya is the old, hardened man who investigates most of the supernatural crimes in Shinjuku. Although he seems to keep a watchful eye on the Magami Five, he usually never gets any leads or closes any of the bizarre cases. The detective is given a small arc in conjunction with Maria Alucard and Morihito Inugami&#039;s back-stories in season two. When he was younger, his partner was Ryuuta Yotsugi&#039;s older brother. His partner is bitten by a vampire-like demon, and becomes a demon himself, infecting others in the hospital treating him. The new oni horde perishes, however, when the sun rises, but child-Ryuuta is saved by Mikuriya. Now the only family Ryuuta has left, the two of them study the supernatural crimes in order to hunt out the monster that killed Yotsugi. They eventually track down Maria Alucard, but she is saved by Inugami, who warns enraged Ryuuta and sensible Mikuriya that she is not the demon they seek. Mikuriya is mortally wounded by Inugami while protecting Ryuuta, but is taken in by Dr. Iwayama for treatment.